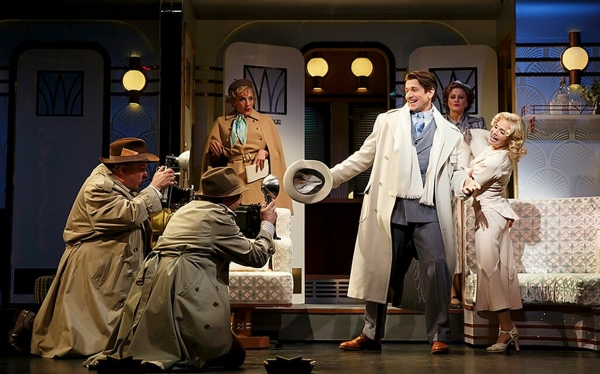 On the Twentieth Century is nominated for 5 Tony Awards including Best Revival of a Musical, Best Performance by a Leading Actress for Chenoweth, and Best Performance by a Featured Actor for Andy Karl. 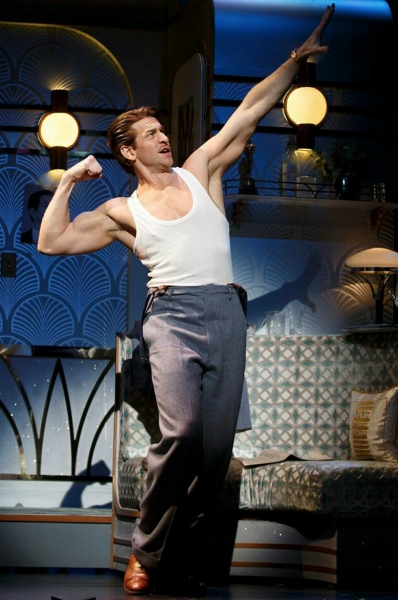 Andy Karl’s recent Broadway credits include Fiyero in Wicked, Tommy DeVito in Jersey Boys, Neville Landless/Mr. Victor Grinstead in The Mystery of Edwin Drood, and Rocky Balboa in, of course, Rocky. He joins us to talk about writing, the legacy of a role played by someone before you, and crunching Kristen Chenoweth. The Audience is a play written by Peter Morgan, directed by Stephen Daldry, and starring Helen Mirren as Queen Elizabeth the II. It opened in the West End in 2013 earning Olivier Awards for Mirren and one of her co-stars, Richard McCabe. McCabe portrays Harold Wilson who was a British Labour Party politician and served as the Prime Minister of the United Kingdom from 1964 to 1970 and 1974 to 1976. In The Audience, Peter Morgan has written imagined conversations between the Queen and her Prime Ministers during their weekly private meetings in Buckingham Palace. The play floats from year to year and decade to decade making use of theatre and costume quick-change magic and, of course, the skill of tremendous performers. The Audience, now running on Broadway through June 28, is nominated for three Tony Awards - one for Dame Mirren, one for Bob Crowley for his costume design, and one for our guest, Richard McCabe. Airline Highway, by Lisa D’Amour, is an ode to the outcasts that make life a little more interesting. In the parking lot of The Hummingbird, a once-glamorous motel on New Orleans’ infamous Airline Highway, a group of friends gather. A rag-tag collection of strippers, hustlers and philosophers have come together to celebrate the life of Miss Ruby, an iconic burlesque performer who has requested a funeral before she dies. Directed by Joe Mantello, Manhattan Theatre Club’s presentation of the Steppenwolf Theatre Company’s production of Airline Highway is running at the Samuel J. Friedman theatre in New York City through June 7th. The play co-stars K. Todd Freeman as Sissy Nana. Freeman has been a member of the Steppenwolf Theatre Company in Chicago since 1993. The Obie Award winning theatre, television, and film actor has earned a Tony Award nomination - his second - for Best Performance for an Actor in a Featured Role in a Play for his performance. Last week, God finally came to Studio 54 in New York City as the new comedy An Act of God began previews. For the play, God has take the form or four-time Emmy and Golden Globe Award winning actor, Jim Parsons. Based on the critically acclaimed book The Last Testament: A Memoir by God, this new play was written by David Javerbaum (who also wrote the book and runs @TheTweetofGod Twitter account) and directed by two-time Tony Award winner Joe Mantello. It features God and two of his angels (Michael and Gabriel - in the forms of Christopher Fitzgerald and Tim Kazurinsky). David Javerbaum is a 13-time Emmy-winning former head writer and executive producer of The Daily Show with Jon Stewart. He is also a Tony-nominated lyricist whose collaborations with songwriter Adam Schlesinger include the Broadway musical Cry-Baby and the Grammy-winning songs for Stephen Colbert's Christmas special The Greatest Gift of All. He created the talk show No, You Shut Up! with Henson Studios, hosted by Paul F. Tompkins for Fusion and he is currently a producer for CBS’ The Late Late Show with James Corden. An American in Paris is a new stage musical based on the 1951 film of the same name -- the film, directed by Vincente Minnelli and starring Gene Kelly and Leslie Caron, was itself inspired by a 1928 orchestral composition by George Gershwin. The new musical, set in the City of Lights just after World War II, features classic songs by George and Ira Gershwin including “I Got Rhythm,” “‘S Wonderful,” “But Not for Me,” and “They Can’t Take That Away,” and orchestral music from George Gershwin including “Concerto in F,” and “An American in Paris.” The show is currently running at The Palace Theatre on Broadway and is nominated for 12 Tony Awards including Best Musical.